I will comment about BC Budget 2014 after more study but I’ve read a few reports from media stenographers. Studying detail takes more time than rewording notes issued by the gaggle of Liberal flacks paid for by munificent taxpayers. Priority? Maybe this writer has been spending too much time investigating new enterprises in Washington and Colorado. Either that or he’s intentionally misleading readers. When Ms. Clark became Liberal leader, provincial debt was $45 billion. In Tuesday’s budget documents, it is forecast to exceed $70 billion within 3 years. In addition, under Clark, contractual obligations of the province grew by $23 billion between 2011 and March 2014. These commitments include hospitals, schools, roads, bridges and rapid transit financed with private-public partnerships as well as commitments to purchase private power, which this business-wise government resells at a loss. It is the fourth consecutive budget in which the B.C. government has been able to achieve this goal, which has helped put it in a position to not only balance its books – for the third straight year – but also begin paying down overall debt. Here, the columnist is repeating Liberal puffery. The percentage is not calculated on total provincial debt, nor is de facto debt included that arises from public-private partnerships, where infrastructure is financed privately and government is obliged to pay over time, as it would with conventional financing. Undeniably, a large portion of contractual obligations ($103 billion a year ago) should be included to calculate an accurate ratio of debt to GDP. The column applauds material savings in Pharmacare and attributes those to use of generics and lower drug prices. Long time users of prescription drugs in BC are aware that the “Low Cost Alternative” (LCA) program was introduced in 1994, when the Premier was Michael Harcourt. Contrary to Liberal talking points, there has been no recent conversion to generic drugs. Mandated interchangeability has been with us for more than a decade. Not revealed in this article is that government is using an administrative method that reduces its Pharmacare costs – and drug costs of private insurers – but requires insured consumers to pay more out of pocket. This is done by setting prices that Pharmacare will pay for drugs below actual market prices faced by consumers. The excess must be paid. Government is relieved; private insurers are relieved; patients, regardless of ability-to-pay, are burdened. Additionally, certain drugs that were covered a while ago under Pharmacare, and by private insurers that have me-too policies, are now excluded from coverage without Special Authorities. Since doctors expect to be paid if they negotiate with Pharmacare for a patient, there is a chill on applying for special coverage. Even if a physician requests Special Authority, it may not be granted. For some prescriptions there is no coverage. The decision is a financial one in Victoria, not a medical one in the doctor’s office. By example, Pharmacare believes that over-the-counter products, which are not covered, are appropriate for certain conditions. Again, the decision is made by bureaucrats, not by physicians. So yes, government saved big money in Pharmacare. So did private insurers. The losers though are people dependent on prescription drugs, many of them elderly with limited financial capacity. Liberals believe this is as it should be, that citizens suffering hardship deserve minimal attention. I searched for indicators this article was sponsored content but found none, which leaves the conclusion: the columnist is attempting to deceive for his own reasons or he is not competent to write about financial matters. Either way, the Globe and Mail deserves censure. I see that the your article is referenced GARY MASON, JOURNALISM… maybe GARY MASON, PUFFERY PSEUDO JOURNALISM would be more accurate. So the Liberals have been making this announcement since 2013.
re Gary Mason, Did Mason not once think of asking about the weekly stories of long waits in BC Hospitals and long waits for surgery ? Or did he not think to suggest that Health Care is no longer a Doctor's choice…. but a Liberal government choice ? What an embarrassment to journalism. And this short yet clear indictment of BC Liberal policy that has many of our seniors having to chose which medications they will or won't buy every day in our ” Best Place on Earth ” will not appear anywhere in mainstream media. Even though not being able to afford to buy a medication can degrade the quality or length of your life. Executive Assistant is a political appointee position and there is a need to name names in an article such as this: Jordan Mason. Shall we count the “legitimate” and “credible” journalists whose families have been employed by Liberals through Orders in Council and paid by taxpayers? – Times Colonist writer Les Leyne's son Andrew was one. He worked for the Liberal caucus, then the Liberal Party and now for spin merchants and lobbyists Hill & Knowlton. – Former CBC bureau chief Stephen Smart's wife was Christy Clark's deputy press secretary Rebecca Scott. Both are now employed in the Spin/Lobbying business: he at Citizen Relations, she at Global Public Affairs. – Corus Radio political broadcaster Sean Leslie's wife Lisa is a Communications Director for the BC Liberal government. – Black Press political writer Tom Fletcher is married to Kate Trotter, a Public Affair Officer for the BC Liberal Government. Other political journalists hire themselves out as speech-makers, often appearing before business groups interested in their coverage. Are there more political reporters who might be perceived as having potential conflicts? It's not easy to know because none make voluntary disclosures of relationships that might be problematic. Another interesting connection is between the provincial Conflict of Interest Commissioner Paul Fraser and his son, John Paul Fraser who is a highly paid Deputy Minister in the Liberal Government. 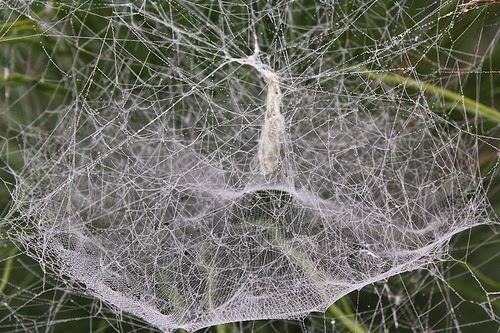 The question we might consider: Is our political world so small that numerous connections are inevitable or is there a pattern of behaviour here whereby the government insulates itself from bothersome criticism? That is the extent of his investigations for 2015………… now it's back to being a Liberal stenographer. Keith was overheard saying… that was exhausting. Yes, they measure debt as debt/GDP, so as debt grows, as long as GDP grows, the ratio stays the same. They grow the GDP by adding more debt! This is why the govt is so desperate to Grow the GDP! This explains their fervour for LNG export, even though LNG does not make sense! To them it looks like a way to Grow the GDP. Total provincial debt is projected to grow by more than $1 Billion every year to 2017/18!!!!! Total debt has more than doubled in the last 10 years: they are NOT paying it down, they are making it BIGGER! It's worth noting that GDP for 2014 is not yet known definitively, it is a government estimate, as are the numbers given for future years. Are the guesses reliable considering that most of the budget documents are political spin, not economic fact? Additionally, few observers accept GDP as a number to be accepted without qualifications. If a foreign company builds a floating LNG plant in Korea, anchors it on the BC Coast and processes royalty free natural gas which is then sold as LNG to a tax-haven based marketing company that sells it in Asia, how is the GDP effect measured? Social costs don't affect the measurement of GDP. If government spent a million dollars demolishing existing residences, that would have the same GDP value as a million dollars spent building new accommodations. Similarly, a million dollars worth of electricity generated by solar technology is considered like a million dollars worth of electricity generated by burning dirty coal. I'm sorry but, how can the gov't say its budget is balanced when the provincial debt is projected to INCREASE? Why, on God's green earth, has NOT ONE reporter clued into this? If this were the 90's, they'd call it a 'Fudgit Budget'. Now they just pretend it's okay. Mrs. Leslie is noted above but Baldrey's spouse does not work for government. She is a freelance writer and may do work occasionally for groups that benefit from government funds but she has demonstrated excellent writing skills and would be in demand regardless of her husband's occupation. I know from personal experience and investigation that your description of prescription drug pricing is accurate. As someone forced to take a number of medications daily, I wondered why I was always asked to pay extra for prescriptions even though I was paying for full coverage from a private insurance company. I'm left wondering though, is government doing this to save public funds or to allow insurance companies to save tens of millions every year. I am thinking of suing my insurance company in small claims court to recover the extra amounts I'm forced to pay when they sold me insurance that is supposed to cover prescription costs. It would make for an interesting case. It's not the money as much as the principle and they get away with this because relatively small amounts are involved for individuals and they expect no one will challenge them, even though millions are at stake overall. Hello Mr Farrell. Interesting for sure. Especially since the proposed dismantling of Burrard Thermal, a bought and paid for many times over facility that wouldn't cost anything to operate other than fuel would add to GDP! Counting on big protests to keep the facility in case a nice event knocks down some towers. Or dams fail, not that they do, we'll not counting tailings dams anyway. Also sounds like big Pharma amd big insurance get to win as well. In the case of insurance it is probably a hand off to compensate for ICBC that would not get privatized eAsily. But here is work going on to help ruin it by closing Claims Centres and renting space. Adjusters will be with Service BC. Should improve the customer service experience for all. As long as the GDP keeps growing every year, for infinity, they can maintain the debt/GDP ratio. A debt, is a debt. 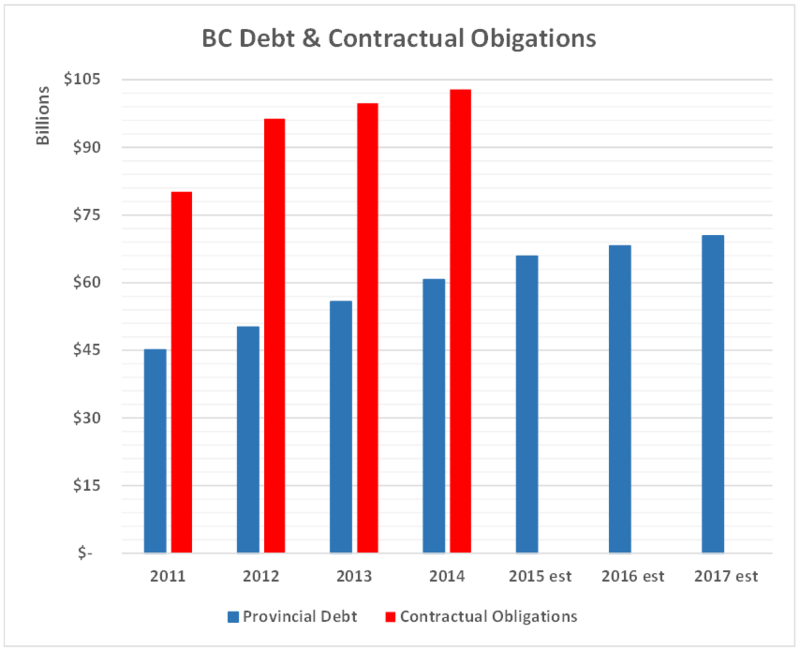 How can an increasing provincial debt, and the cost to maintain the debt payments, not be regarded when preparing a so called balanced budget? The con game, needs to be stopped. This debt is increasing at an extremely alarming rate, even by the governments own admisson. Just look at the grasping of LNG wealth, the lottery mentality, in order to pay down this debt. My concern is that with the lack of effective oversight, fraud is not a possibility, it is a certainty. Every business person knows that if he/she were to have no internal controls, little transparency, a system that discourage comprehensive record keeping and allowed removal of auditors whenever problems were reported, the business would be targeted by thieves and fraudsters. The province of BC is managed to encourage theft and conversion of assets. The only explanation is that criminals are in charge of the management. I still don't see how the Govt can say it has a surplus while the overall debt is growing. ” Clark told the sold-out audience the budget allows for a savings of $1 billion, which the government will use to pay down the province's debt. “There are those, too, many of whom are in the opposition, who say we should really just grow government by a billion dollars. Why not just spend that money and make government bigger, build it into the budget, and make it bigger every year?” said Clark. Did you get that….. nothing short of 1 BILLION….. and no one questions her. Both my spouse and I are retired BC Govt employees and in management positions. Neither of us has what the private sector workers like to call a “gold-plated pension” in fact, far from it. Because I worked longer than my spouse, I continued with the benefits package afforded to management employees and so had medical coverage paid for (a taxed benefit) as well as a dental plan plus extended health. Once Greedy Gordo took over, medical coverage was eroded and more of the fee cost was deducted at source from my pension cheque to the point where it became fully payable and billed separately instead of deducting from my pension. Dental plan was completely cancelled and within 4 months one of us experienced a failure of bridgework that required $10,000 to fix – completely paid for by us. Extended Health coverage was $25 deductible and 85% reimbursed at the time of retirement. Gordo handed the program over to Blue Cross (one of his financial supporters) and changed the coverage to $250 deductible and 70% of the balance, plus it was aligned with the Pharmacare program to which we do not qualify. Later, things changed again. We could not be covered as a couple, and as separate entities we are now subject to a deductible of $250 each and 70% of the balance, which means Blue Cross can ignore a total of $500 and pay 70% of each person's balance, provided we purchase no more than 3 months supply at a time and that Blue Cross approved of the purchase. Turns out these politicians are “real families first” in the best tradition. Fortunately, we can still afford a trip down south each year and buy our medications in Mexico at great savings. I don't have to even think of dealing with Blue Cross, but they get a substantial payment from the taxpayers every month for no coverage and no cost. We are now paying $130.50 per month for Medical Services Plan and can't even deduct it from income tax because it supposedly is a government program. I have been in severe pain since late 2012 and nothing relieves this pain, but I am still awaiting a hip replacement. So much for timely health care at an affordable price. In a right-wing world it simply does not exist. Interesting re father-son situation. However, isn't “executive assistant” the same thing as a secretary?